Dr. Cash McMeans is the newest addition to Stanlick Chiropractic. A native to west Texas, Dr. Cash attended school at Texas Tech and Parker University where he obtained his Doctorate of Chiropractic and degrees in human anatomy and health and wellness. After graduating, he moved to Colorado where he began practicing in the foothills of the beautiful Rocky Mountains. In this time he got engaged to his equally stunning bride-to-be and moved to her home state of Tennessee shortly after.Dr. Cash was first introduced to chiropractic through sports-related injuries while playing high school football. He became fascinated with the profession and the thought of being able to serve and help people with his own two hands. Later in life, his passion for chiropractic was solidified when chiropractic care relieved him of his lifetime battle against allergies and his weekly allergy shots. Dr. Cash is dedicated to providing the best care possible to his patients with loving service. Dr. Cash loves playing sports, being outdoors and spending time with family and friends. 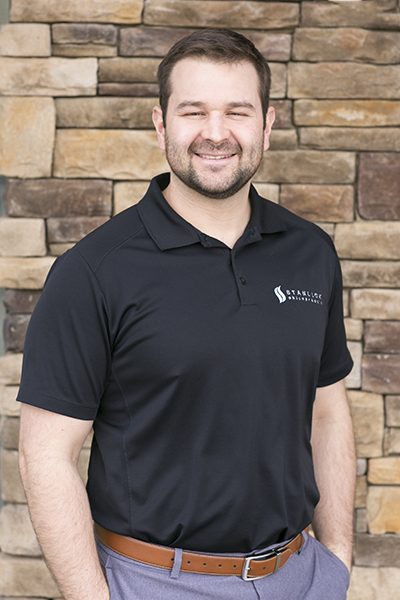 He is very excited and happy to be a part of the Stanlick Chiropractic team where he has the opportunity to serve and help people in their goal to be pain-free and achieve optimum health and wellness.